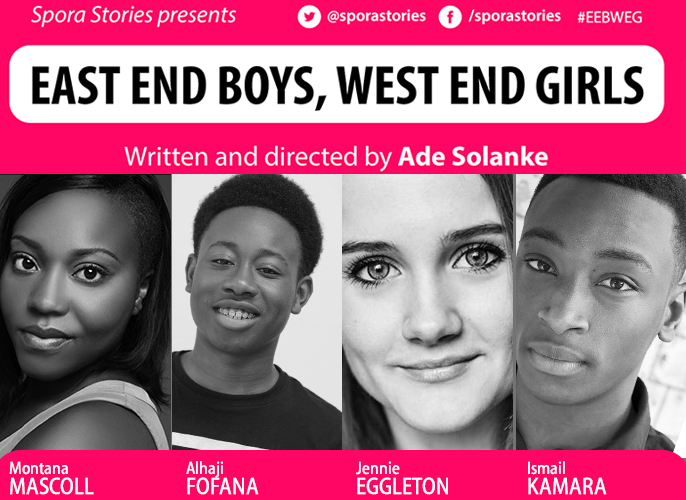 The cast has been announced for Ade Solanke’s new play, West End Boys, East End Girls, which opens on July 28th, 2015 at the Arcola Theatre, Dalston. 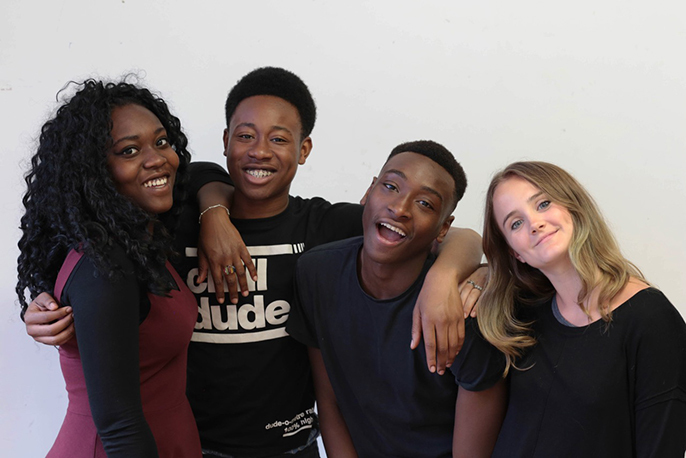 East meets West across the education divide when four London teenagers compete for a prestigious scholarship. As they venture across the capital into unfamiliar territories, friendships are tested, aspirations are challenged and each is forced to decide what matters most. Jennie studied at Drama Studio London in 2013 after graduating from University of Leeds with a 2.1 in English Theatre Studies. Stage credits include her one-woman show 'Close To You' at the Edinburgh Fringe, which was then transferred to the Southwark Playhouse last year. Other theatre credits include 'Ashes' at The Park Theatre and Jennie was recently a finalist in the Monologue Slam at Theatre Royal Stratford East. Last year saw Jennie's feature film debut, playing the female lead role of Molly in Cannibal Films' 'Tear Me Apart' and most recently finished shooting her TV debut as Cotton Lively in Disney's TV series 'Evermoor Chronicles'. Jennie is thrilled to be a part of East End Boys, West End Girls. Ismail graduated earlier this summer from the two-year acting course at The Poor School in Kings Cross. Theatre, whilst training included Accrington Pals, The Cherry Orchard, Hamlet, Hedda Gabler, The Importance of Being Earnest, The Merchant of Venice, The Crucible and Dancing at Lughnasa. This production marks Ismail’s professional debut as an actor. Montana has trained for the last three years at Rose Bruford College of Theatre & Performance on European Theatre Arts, where she engaged in intense physical training, devising and ensemble work. She also trained at the Estonian Academy of Music and Dramatic Art last year for an intensive three months on her Erasmus Placement. Recently, Montana performed with cast from the RSC in A Midsummer Nights Dream, directed by Ian Hughes at Squerryes Court. Montana is excited to be working on East End Boys, West End Girls for her first professional engagement. Alhaji’s TV credits include the role of MAYHEM (The IT Crowd, Channel 4), TOMMY (London Irish, Channel 4), ABRAHAM (Youngers, E4), EL DIABLO (Siblings BBC3), and a part in Brotherhood (Comedy Central). Alhaji’s radio credits include the role of TYRE in in Can’t tell Nathon Caton Nothing.